This document is not seeking in any way to be a definitive statement about strategic small churches. I recognise that we are in a time of contextualisation and some will look at this and think they want something far more organic, others will find these thoughts helpful as they seek to work in existing church expressions and bring change. I think what is important is that we create learning environments. I think it is important for us to keep an eye on what the Holy Spirit is doing and every now and again you get a sense that something is happening and something is being reaffirmed. One of the joys of the cell movement has been to see the power of the basic Christian community becoming real. Historically many church planters have seen the great commandments as the essence of this, that everyone is called to love God, to love one another and to love our lost world. And implicit in the great commandment is this is for everybody, seeing small groups of individuals becoming a real Christian community and that they are relationally connected to God, to one another and to their community; every member is seeking to be fully engaged. This participation of every member in ministry, this sense that every Christian has a role to play, that we believe in holistic life, equipping people for the workplace, for life, for local church. But what I am becoming increasingly aware of is that there is a need to affirm small churches, a church that strategically decides that it will grow to a number of say 30 to 120 and then at that point stop, have no more people in that congregation and plant a new church. We need to affirm that the principles and practices of small church may be different than those done by big churches. I was talking to a friend recently who is planting what he calls drawing room churches. They will grow to 35-40, stop and then start a new one. Another Christian leader was asked by a new stream denomination to plant a 1000 person church in London and his response was ‘I won’t do that’ but I would like to be involved in starting 10 x 100 people churches. Two church leader friends of mine who both lead small churches came back from their denominational conferences seriously discouraged, as they are on a regular basis at these conferences, because all the speakers were from big churches and there is a sense that every small church should be a big church and if your church is not growing and you do not have a vision to be big then somehow the inference is that is sub-standard. So is it time to affirm positively and unequivocally that we believe in small churches. The statistical reality is that most churches in the UK are under 100 on their Sunday celebrations – as per the 2005 English Church Census which highlights an average of 84. So let us affirm this as a positive strategy i.e. that a church clearly decides and thinks that it will reach a certain size and then stop and start something else. It is important that this is a clear thought because this document is trying to highlight that the practices of a small church will be different to that of a big church and, therefore, it needs a clear intentionality. Many small churches operate on the principles and practices of big church and perhaps this creates expectations that are detrimental for a small church. I love big churches but the truth is that growing a church to a significant size takes a particular set of skills and anointing and needs the right geographical and sociological dynamics to be in place. On behalf of leaders this takes perhaps a moment of difficult honesty. We have put so much emphasis on big churches, which is seen as success, that it makes it emotionally difficult to decide to be anything else. But a clear look at your sociology and geography might tell you unequivocally that you are going to be a small church. Therefore, let us embrace this idea and, secondly, and perhaps the harder thing is to look at our own gift set and to recognise that the skills and anointing necessary to grow a church from 150 to 500 and perhaps again from 500 to 1000 requires particular and specific gifts and anointing. Just a quick look around the country tells us, if we are honest, that most of us don’t have these gifts, but we do have the capacity to grow a church to 120 so let’s embrace that and feel good about it. So let us look at some of the characteristics of a small church and affirm perhaps some good practice. There are several things that we might want to say about leadership. Firstly, in many small churches because it is a strategy for a church to be small – somewhere between 30 and say 100 – there needs to be no full time staff and therefore this small church will have money that can be used for the benefit of the whole. Small churches probably have two size brackets, 0 to 75, where everyone can know each other and there is no real need for full time staff, i.e. the leadership is very light. At 75 to 120, where everybody can still know each others names but the group is beginning to be big and some small churches at this point, and they may indeed have done this earlier, could have some people giving part time help, administration and the coordinating leader might be giving a day or two. Leadership must be ‘light’. By inference the rest of this document comes back to this point again and again. That the nature of leadership in a small church and how a small church operates in terms of its practices has to be reshaped and rethought so that the leadership is something that can be done in a person’s spare time or if the church grows above 50 and 60 to one or two days a week. Now there may be a coordinating person called the leader of this church but they are adopting the practices of ‘light’ leadership which means the vision of the church must be different, the way the church organises and coordinates itself is different, and its practices are different. We will cover these issues in the rest of this document. In general terms this church is going to operate through consensus wherever possible. There undoubtedly will be some kind of leadership team but decision making will be on as broad a base as possible. And the coordinating person’s role is to keep that big picture alive, make sure the basic infrastructure holds together, facilitating at all times the contribution and ministry of its members. Sadly church seems to have an inbuilt ‘swerve to rot’ and whether we are talking about the times of John Wesley or even today we can see that church very easily becomes a place where its primary message to the world is to come to us in one way or another. The ministry of the church is primarily done by leaders and a few enthusiasts. The people on the whole are passive and the message of the church is small. In contrast what we are hoping to see is a primary emphasis as a ‘go’ model, that we are all carriers of the gospel message going to our work place, to life, to our community. That the ministry is done by everybody and nobody is passive, we are all disciples on a spiritual journey, and our message is big. We are empowering people to change their world the way we work, the way we live, all seeking to be influenced by the Christian message, by Jesus himself. We in our time perhaps have one more powerful ‘swerve to rot’ and that is consumerism. Romans 12:2 warns us not to be conformed to this world and perhaps in the 80s and 90s we Christian leaders oversold the Christian message. We over emphasised the benefits, under emphasised the privileges and responsibilities creating a consumer church where people come to be blessed and helped and if they are not quite blessed or helped as they think they ought to be they move on to somewhere else. This is not their fault, this is our fault – we have allowed consumerism. Jesus said ‘He who seeks to find his life, will lose it, he who loses his life for my sake will find it’. Perhaps it is time for an ‘oops’ moment where we educate ourselves and our churches that church is about Christian community, about giving and receiving, about benefits and responsibilities, living through pain, dealing with the real issues of life. One of the reasons that the leadership is ‘light’ is that there is a different vision. The vision of a small church is a combination of what its members feel called to do so the leader is just empowering the members to the work of ministry. For most of the members that is about what they do in the work place, having a sense of their significance there and their role in being salt and light. It is about life and helping us all to live out our Christian experience whether single, being married, having a family etc. It is about our locality, being connected to unchurched friends and whatever else we feel called to do. So when a church member has a vision or a concern for their locality they can start a project and ask other church members to be involved on a voluntary basis and if necessary there maybe, within the funds of the church, some financial help. But in general the role of a leadership team is to say ‘yes, we believe you have heard from God’ and to support and encourage them in believing that God will supply their needs, their money for this project. 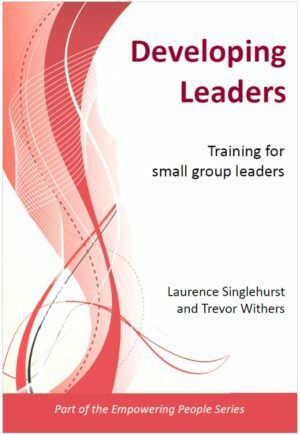 Also, leadership is ‘light’ because church members might fulfil their vision, as far as the locality is concerned, by volunteering into someone else’s project, either a secular project or a church based project which is across churches within their town or community. Now this doesn’t mean that the leader/coordinator can’t have a personal vision as well but in that sense they are acting as a member of that church like any other member but in reality this leader will be spending most of their time making sure that things are not taken on by the centre but the centre is empowering the members to that work of ministry. The default mechanism in most peoples’ heads and the pattern that is well set in the nation is for leaders to do the ministry. It takes a while to create a different culture, it takes a while for both members and leaders to realise that the leader is not the person to do the work but is there to empower and encourage us all in what we are all called to do. So the leader is always pushing back out. These small churches are missional in the sense that every member is being empowered to be salt and light either in the context of the work place or the context of home – if they are retired, a house husband or house wife. Every individual is being encouraged to be connected to their local community in building relationships either in the context of life and friendship, joining the darts club, being a good neighbour, being hospitable or being involved in a project. So the church is building relationships and it is within the capacity even of a small church to hold Alpha courses, to create places and spaces for spiritual hunger and an interest to run small courses that might create spiritual hunger be it a money course or marriage course. These small churches will work on a number of different patterns, some will have mid week small groups and meet every Sunday, some will meet on Sundays and have no small groups, some will have small groups and meet on one or two Sundays a month. There is an endless list of possibilities of how this might actually work. 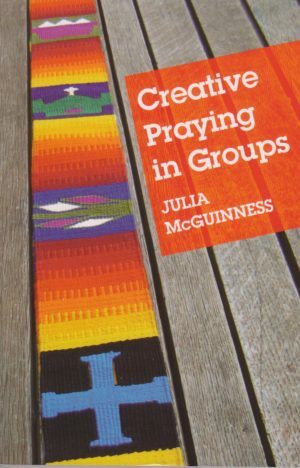 But I think it is important that a small church realises that it is not a big church and, therefore, its church life can be thought about creatively and how pastoring is done, how worship and youth work is done, can be different. They are different in the sense that there is a shared responsibility and ownership across these areas can be far greater. Dr Gary Sweeten, an American psychologist has helped churches understand this little thought that 70% of people’s pastoral needs can be met within the context of a small group, 20% might need a mature Christian to meet with them once or twice and 10% might need in depth serious help from a professional. So a small church can have an effective pastoral strategy by saying yes we can do small groups, yes we can do the mature Christian person but anything beyond that we will need to refer you to a Christian or secular counselling service. So in a sense that part of pastoring is sub- contracted out and there are today an increasing number of good Christian counselling services available as well as good secular help. Whereas a small church can probably look after toddlers and young people up to the age of 10 there comes a point when young people need to be a part of something bigger, they need the influence of positive peers and some real input from people who understand youth from a Christian perspective and here again I think a small church can unashamedly sub-contract. We have already discovered in many churches that if you have one main church in town that does great youth work it often attracts all the young people anyway, or you find your adults start leaving your small church for the sake of their children and join that bigger church even if they don’t want to. So rather than this take place we can be straight forward from the beginning. As a small church say ‘we can’t do this’ but let us go to the church that can and see if we can make an arrangement with them so that at a certain age our young people can be a part of their youth work and their parents will stay in the small church. This is all done intentionally and strategically and upfront. Or it may be, as in the case of some towns in the UK, there is an independent group that offers good Christian youth work to the town or area. For example an across church youth project can be set up between the smaller churches as happens in some localities. Sundays/celebrations are often the areas where ‘light’ leadership crashes and the leader and the leadership team are increasingly forced to do more and more which makes it harder for those leaders. This occasionally tips the balance for wanting a paid leader which may not be a bad thing for some small churches who have grown to between 40 and 100 people on some type of full or part time basis. 1. Obviously a small church wants to be in a space that is intimate so you don’t want to be 30 people in a room that can hold 200. When you are in a space, be it somebody’s house or small hall that is intimate, then as far as worship is concerned you immediately cut back on the equipment level that is required and because the emphasis on the church is for people to use their talents because God is speaking to them then our worship team are there because they feel called to do it which will give them energy for bringing equipment, instruments etc. but being in an intimate space means that there does not need to be a huge PA or noise enhancing equipment. 2. The worship can also be highly participative and at times can be non-musical. 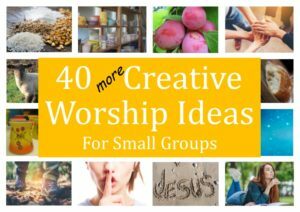 There is a great deal of resources available now for exciting worship experiences that are structured around scripture or creative arts that have very little music in them, if any. This approach to worship, sometimes called unplugged as there is no need for the PA system, is different to what we are used to but there are traditions that go back to the very beginning of church and throughout church history where the singing part of worship has been really quite small and there has been all sorts of creativity in terms of prayer and participation and there are now an increasing number of resources available that give many examples of non-musical worship. Many small churches realise that this is another area where the leadership can go from light to heavy but there is a great deal of interesting creativity taking place around this area which can keep it light. So, for example, in one small church their practice is to all read the same passage of scripture during the week and then on Sunday they just have a coordinator who asks ‘what have we learnt from the passage’? and individuals share what they have learnt. Now they put some house rules around this as sometimes the drawback of open sessions is the only voices you hear are leaders, extroverts and quirky people. So their in-house principle is that everybody shares once and can only share twice if the whole group have had a turn, as it were. And then to supplement this every other month this small church invites in a speaker. As they pay no salaries they have plenty of money and are able to invite skilled speakers to come in and give highly significant input, in their case bi-monthly. Also, they point out what is available for people to listen to in terms of podcasts. Through the incredible use of the internet it is now possible for church members to listen to some of the very best speakers that we have in the UK and on a worldwide basis because they are available for free as a podcast. A small church can just make available perhaps a few recommendations on a regular basis on what is out there. Multi voiced preaching. Stuart Murray Williams and others have for a while encouraged an interactive style where you have a speaker who starts a topic but it is done in terms of question and answer, it deliberately seeks to bring in the group. So what would a celebratory service look like? Many small churches have drifted away from Sunday mornings to Sunday afternoons so there can be real creativity about when is the meeting. Most are adopting a semi-formal kind of atmosphere, very welcoming, often beginning with coffee, but not necessarily. There is worship in the style that we have talked about. For many this is followed by a 20 minute segment where it is open forum for members to share normally coordinated by somebody about life, what God has been doing in and through them. This is often followed by prayer which would relate to something which is shared or perhaps is related to people’s work place. The LICC have been encouraging churches to ask a member to share what they will be doing this time tomorrow which gives the whole church a picture of what somebody does from 7am to 7pm Monday to Friday and they can pray for them in that salt and light, holistic Christian witness, be they in the work place, be they at home. This can then be followed by however you are looking at the word, be it A shared reflection, B, multi voiced or C, someone preaches. Just a note on this is that in the small church I am involved in our leader/coordinator preaches fairly traditionally once a month and has basically opened up to the congregation that everyone else who wants to speak can speak. They then go through a little bit of training so we are a church of 60 with 10 speakers on the team. And part of today’s reality is that many people, as part of their secular world have learnt the skills of good communication and when applied to a spiritual theme they are nothing short of fantastic and often very disciplined re time!